Oakland’s culinary scene is one of the nation&apos;s best! 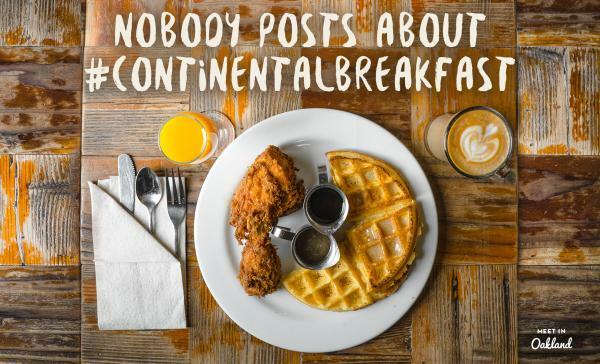 So don’t be surprised if attendees want to skip the boring continental breakfast of boiled eggs and generic mini boxes of cereal for some tasty chicken and waffles from world famous Brown Sugar Kitchen. Located on Mandela Parkway, the aroma of New Orleans spices will coax you inside where a bowl of hot gumbo awaits you. Don’t fill up too fast, you’ll want to sample a favorite at Brown Sugar Kitchen—its beignets are topped with powdered sugar and served with seasonal jam on the side. Drooling yet? It would be a shame for 70-degree temperature and sunny weather to go to waste! Whether it is a perfect start to the day, or a way for your group to wind down after stressful sessions, a jog around The Town is a must. 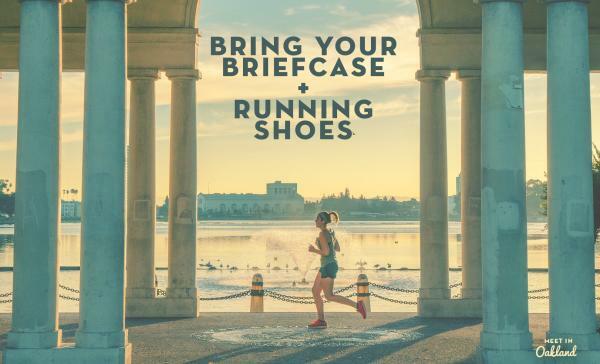 Read our blog on the best places to run in Oakland. 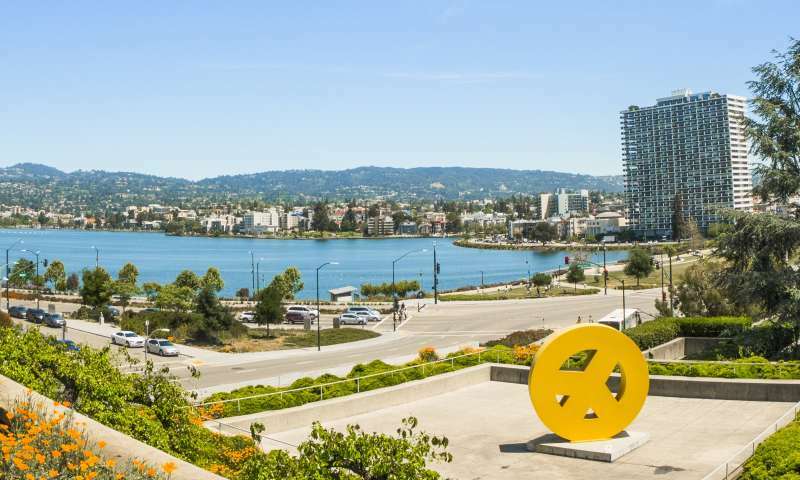 Thanks to the city’s scenic running trails, jogging in Oakland is one of the best ways to see the city on foot. For a quick escape into nature, run for The Hills—no pun intended—and explore Redwood Regional Park, where you’ll be transported deep into a stunning mossy forest. We promise you’ll forget you’re even in the city. From The Hills, you can run past a post-card worthy skyline view of San Francisco. 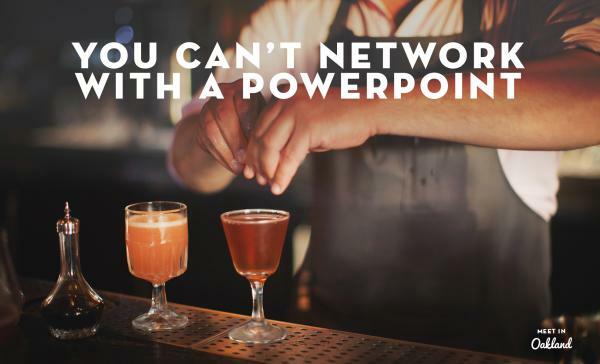 You probably didn&apos;t get many business cards passed out in the five you had to change rooms between those breakout sessions, so bring them with you as you check out Oakland&apos;s restaurant and bar scene. The Oakland Urban Wine Trail is a great place to start. From there, you’ll embark on a culinary and wine tasting adventure at several wineries, all within a walking distance from the trail. Wine lovers can easily access the trail from the ferry, BART, the free Broadway shuttle or Amtrak. Make sure to stop at hip locations like Cerruti Cellars and Brooklyn West Winery to sample some of the best regional wines. For beer enthusiasts, raise your stein and go to the Oakland Ale Trail, where you can satisfy the beer connoisseur in you. Popular stops along the trail include Ale Industries and Temescal Brewing—the best spot to drink under the stars. People can also find out that you are "Jim from Akron" by talking to them. 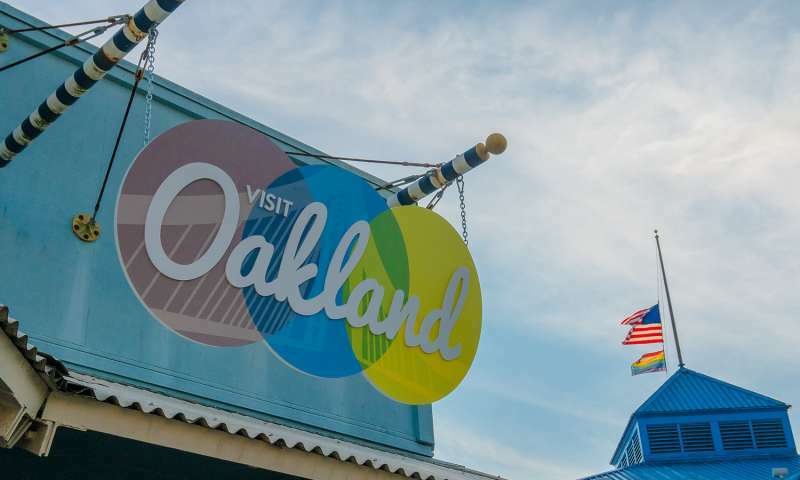 Untether yourself and explore Oakland like one of the locals. Watch a show at the historic Fox Theater, known for its busy art deco architecture with Middle Eastern influence and being a hoppin’ destination for big-name acts like Duran Duran and Van Morrison, or head over to Oakland Museum of California by Lake Merritt for Friday night food trucks and munch on tacos, lobster rolls or banh mi while live music plays in the background. If you definitely want to impress your guests, end your conference with a Big Bang (see what we did there)? Getting away from the city lights to experience the different perspectives at Chabot Space & Science Center is always a hit. Expect to have your mind blown in its planetarium as you watch the moving galaxy dance above your head. 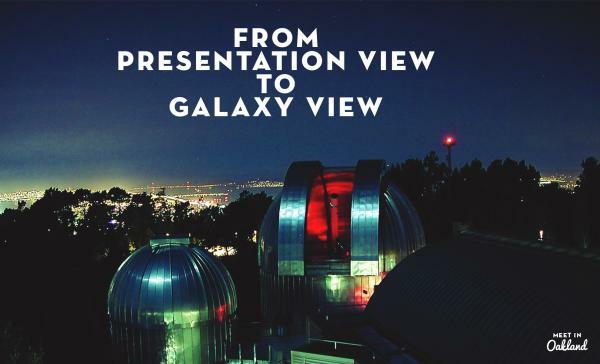 Plan ahead and catch “A View to the Stars” show where you can get a glimpse of the universe through one of three telescopes, including the one built in 1883 by Anthony Chabot. Looking to host your next meeting or convention in Oakland? Fill out this quick request for proposal to learn more about hosting a meeting in Oakland. 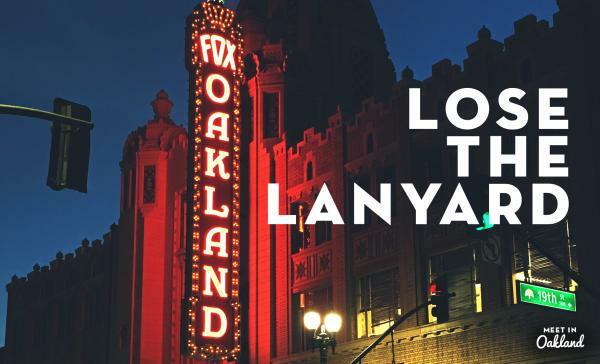 Whether you are in need of a smaller unique venue or large-scale property, your meeting in Oakland can be as diverse as the city itself.